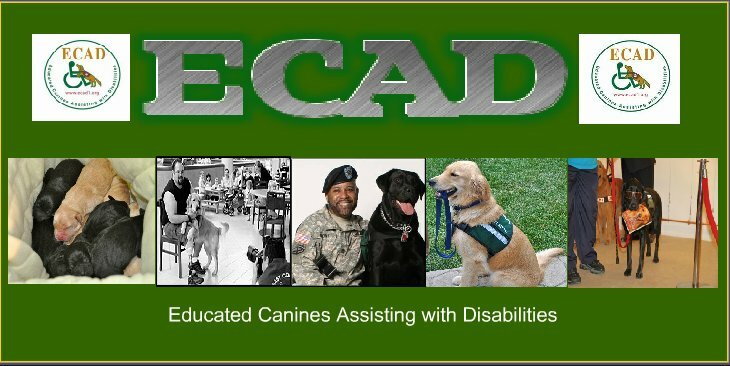 ECAD Service Dogs: 2009 Calendars! 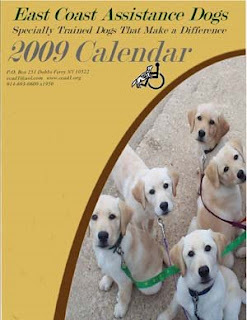 We just got our 2009 calendars in for sale!!! Adorable pictures of our dogs PLUS a bonus page of Sky's family tree! Sky is our foundation dog and mother/ grandmother/ great grandmother to nearly all of our dogs--past, present, and future! Calendars are $10.00 plus $4.80 for shipping and handling up to 5 calendars and $9.60 over.